Explore the author of The Odyssey! Learn more about Homer- the author of The Odyssey. Click on the link above titled "Who Was Homer?" to be taken to his biography. 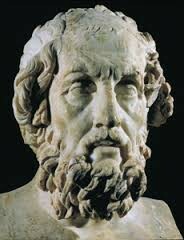 After you have read and learned more about Homer, write a solid paragraph summarizing key points about Homer. If the above Google Form doesn't work, CLICK HERE to be taken to where you need to write and submit your HOMER SUMMARY! What are the Hero's Journey Stages? 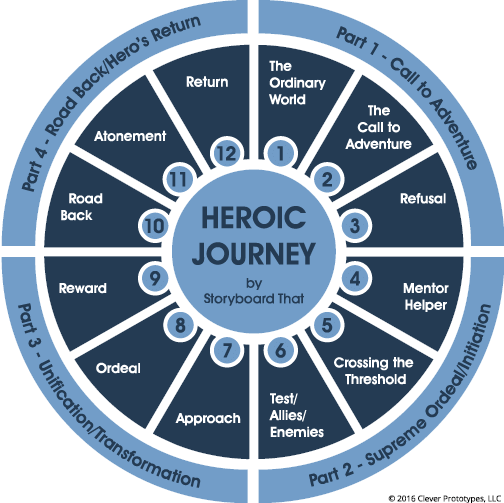 Refresh your memory about the Hero's Journey Stages we have learned about in class. Once you are finished watching this video- take the Hero's Journey Quiz (click the link below). Don't forget to take a photo of your quiz score & upload it to PADLET. 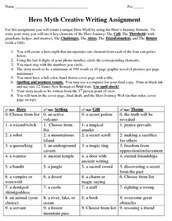 CLICK HERE TO TAKE THE HERO'S JOURNEY STAGES QUIZ. ONCE YOU HAVE TAKEN THE QUIZ, TAKE A PHOTO OF YOUR QUIZ RESULTS AND UPLOAD IT TO OUR CLASS PADLET SITE. Click the links below. 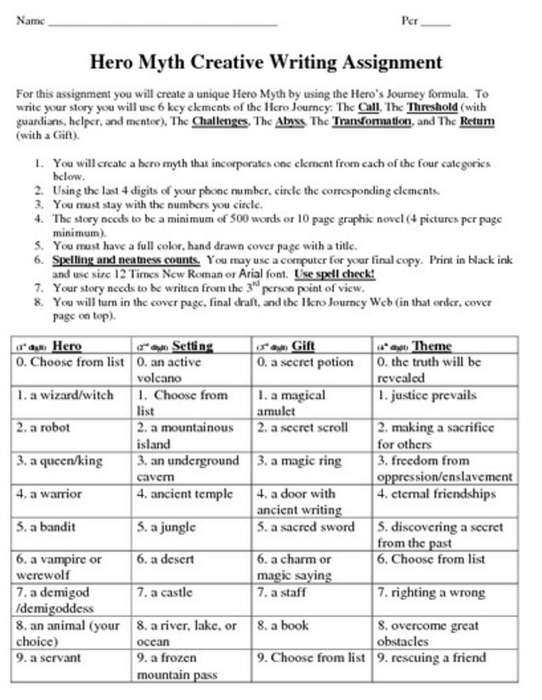 Period 4: PADLET FOR HERO's JOURNEY QUIZ PHOTO. In the tenth year of the Trojan War, the Greeks tricked the enemy into bringing a colossal wooden horse within the walls of Troy. The Trojans had no idea that Greek soldiers were hidden inside, under the command of Odysseus. That night they emerged and opened the city gates to the Greek army. Troy was destroyed. Now it was time for Odysseus and the other Greeks to return to their kingdoms across the sea. Odysseus is trying to return home to Ithaca. Here begins the tale of the Odyssey, as sung by the blind minstrel Homer. As you read through Books 1, 9, & 10, fill out your Odyssey Handout. As you read through Books 11 & 12, fill out your Odyssey Handout. As you read through Books 17 & 21, fill out your Odyssey Handout. As you read through Books 22 & 23, fill out your Odyssey Handout. Now that we have learned about Mythology, the stages a hero goes through on his/her journey, and have read parts of The Odyssey, you will be writing your own Myth. This is a creative narrative writing assignment. Follow the instructions on the handout you receive and submit your final typed, MLA style narrative on TurnItIn.com.